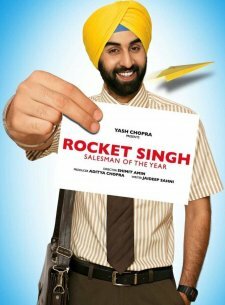 Rocket Singh: Salesman Of The Year Hit or Flop : Box Office Collections - Checkout Box Office Verdict, Trailers, songs, lyrics, release date and collections of Ranbir Kapoor, Shazahn Padamsee, Prem Chopra starrer Rocket Singh: Salesman Of The Year. The movie is produced by Yash Raj Films and directed by Shimit Amin. It released in India on 11th December 2009.